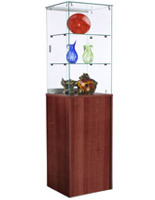 This Quality Trophy Case With Cabinet Base Is In Stock and Ready To Ship From Our Fully Stocked Warehouse Inventories! 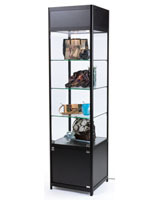 This Retail Fixture Features Extra Storage Below The Glass Display! Frameless construction gives customers a 360° view! Ships unassembled to save on shipping costs! 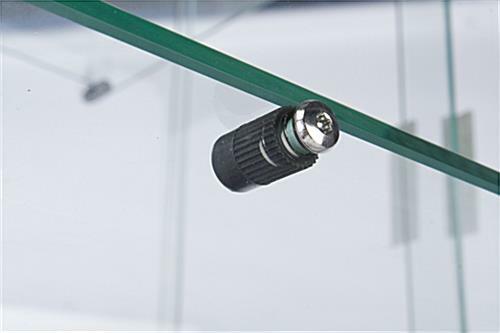 Features 6mm tempered glass for safety purposes! 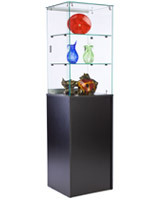 The glass cabinet, trophy case is built with a frameless design, offering a complete view of displayed merchandise. 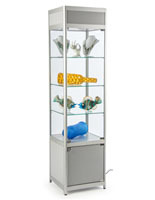 Measuring 20" wide by 18" deep, with a viewable height of 33-1/2", the retail fixtures offer plenty of space for showcasing your most prized items. 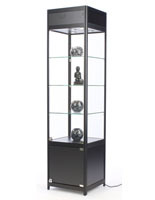 Crafted from tempered, 6mm glass, this is a safe and durable trophy case. 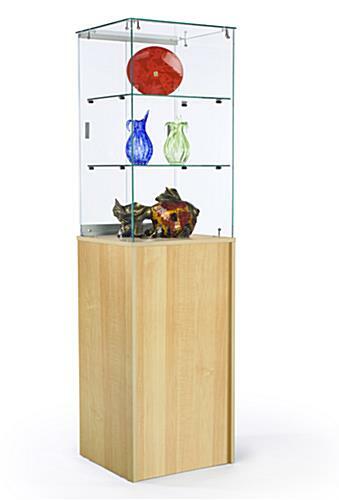 If the showcase were to break, it would shatter into small, manageable pieces, rather than large, dangerous shards. 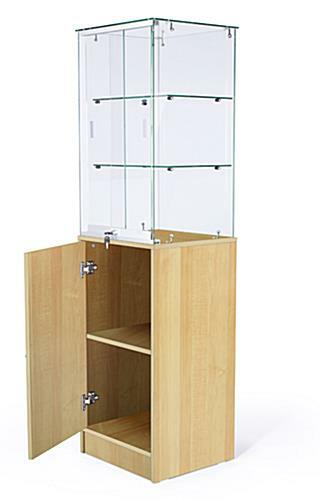 The versatile trophy case includes a bottom cabinet to hold excess inventory or supply storage. A shelf sits inside this area. The shelf is not height-adjustable, but is removable to accommodate taller items within the trophy case. 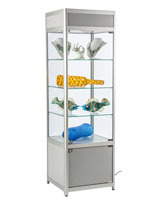 Sliding, locking doors keep products safe within the secure store fixture. These display cabinets are shipped knocked-down.